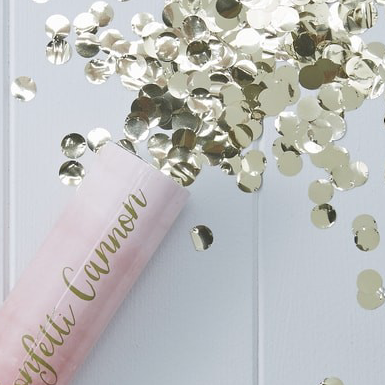 Make a confetti shower with this confetti cannon shooter. Our cannon shooter is perfect for all celebrations. 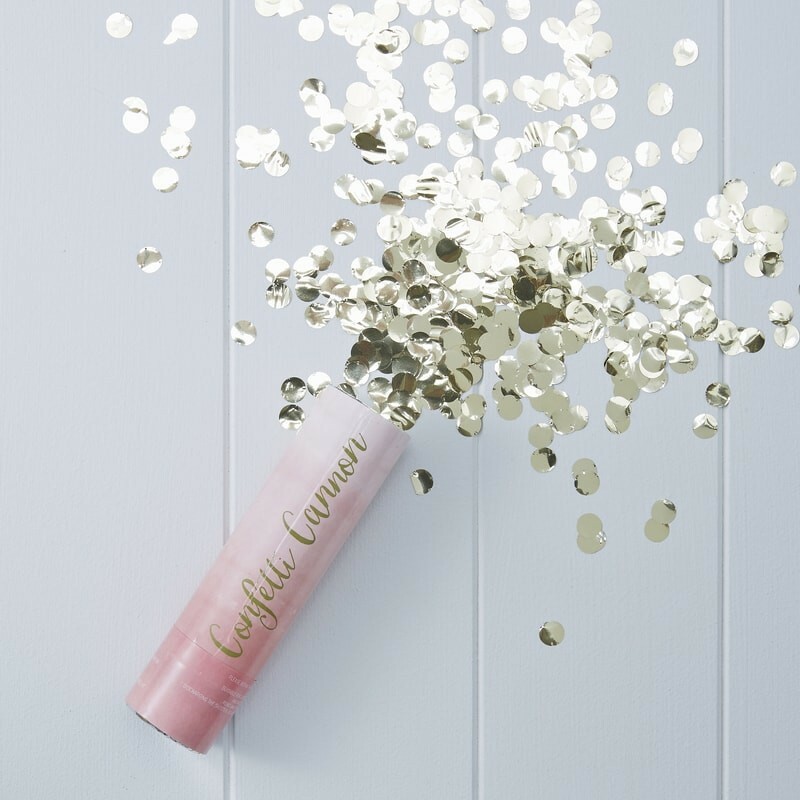 The pink ombre design and gold confetti inside is perfect to make a loud confetti bang at your celebration. Each cannon shooter is 15cm H. Not Suitable for children under 36 months.